PC members in Nova Scotia choose a new leader on Saturday after almost a year of campaigning. Mollifying rivals should be top priority, former leadership contenders say. On Saturday, when Nova Scotia Progressive Conservatives choose a new leader, there may be as much relief as celebration among the five leadership contenders and their supporters. For perceived front-runner Tim Houston, who launched his campaign months ahead of his four rivals, this has been an almost yearlong slog. John Lohr, Cecil Clarke, Elizabeth Smith-McCrossin and Julie Chaisson each joined the race at the beginning of this year. 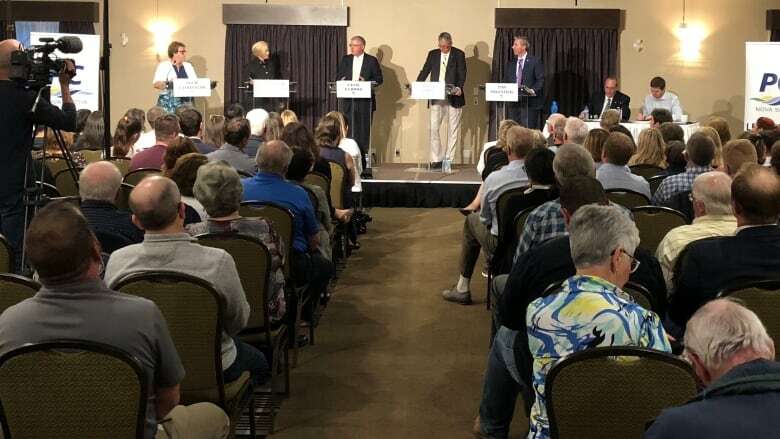 All five have been criss-crossing the province in search of support, meeting and greeting in church halls and basements, discussing policy at kitchen tables and debating each other at official party forums. They have worked hard to outpace their opponents in signing up new members, cajoling existing rank-and-file conservatives to their side and selling their policy initiatives. But those who have been involved in previous leadership contests say the hard work really starts after the ballots are counted and a new leader is crowned. In fact, keeping the job they have fought so hard to win may be tougher than the leadership race itself. 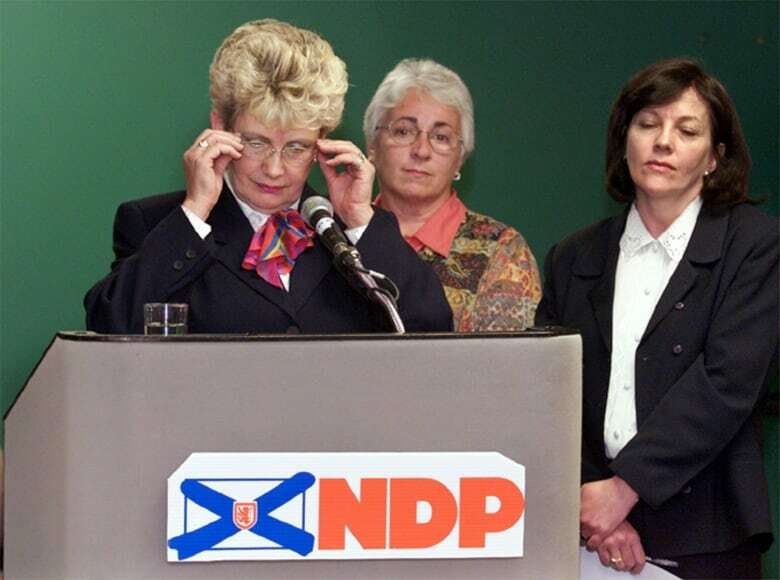 Former NDP leader Helen MacDonald led her party for just nine months starting in July 2000 before a caucus revolt forced her to resign, not long after a humiliating third-place finish in a byelection. Her political rivals had unkindly dubbed her the "Lady of the Library" for leading her party from the legislature library rather than in the chamber — a slight that may have convinced her to run in the first available seat, not the most winnable one. Former premiers Russell MacLellan and Rodney MacDonald fared better, but each led their parties from majority into minority and then to defeat. MacLellan led the Liberals for three years, MacDonald led the PCs for three years and four months — each shorter than a full mandate. All three former leaders won hotly contested leadership races, and faced caucus members who had backed rivals and rank-and-file memberships that were deeply split. That meant trying to bridge rifts and heal wounds, as well as learning their new roles. "Next to learning the playbook, the issues and getting briefings, it was the most important thing you could do," Peter MacLellan said about that post leadership fence-mending. 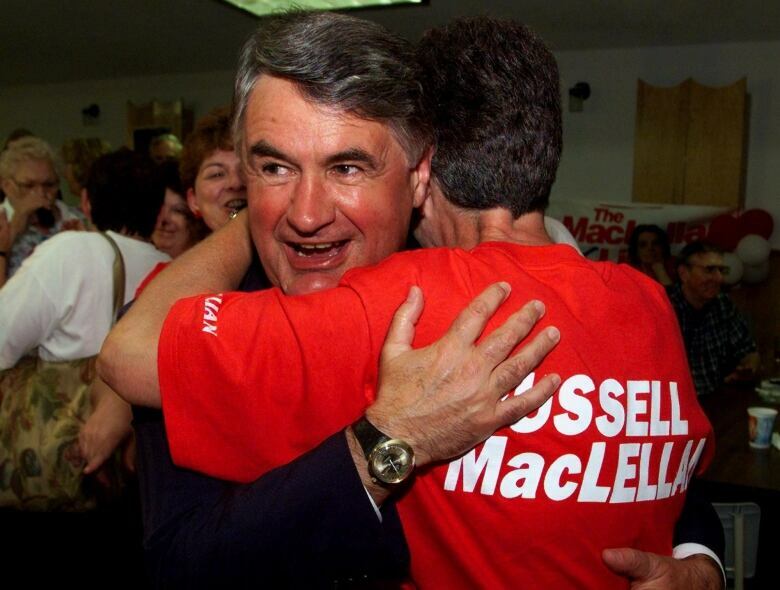 MacLellan was the communications advisor during his brother Russell's successful bid to win the Liberal leadership in 1997. He subsequently took on a similar role in the premier's office. "People were still nursing surprise as well as grievance," MacLellan said about his brother beating out favourite Bernie Boudreau, who not only had the support of most of the caucus but also powerful Liberal insiders. 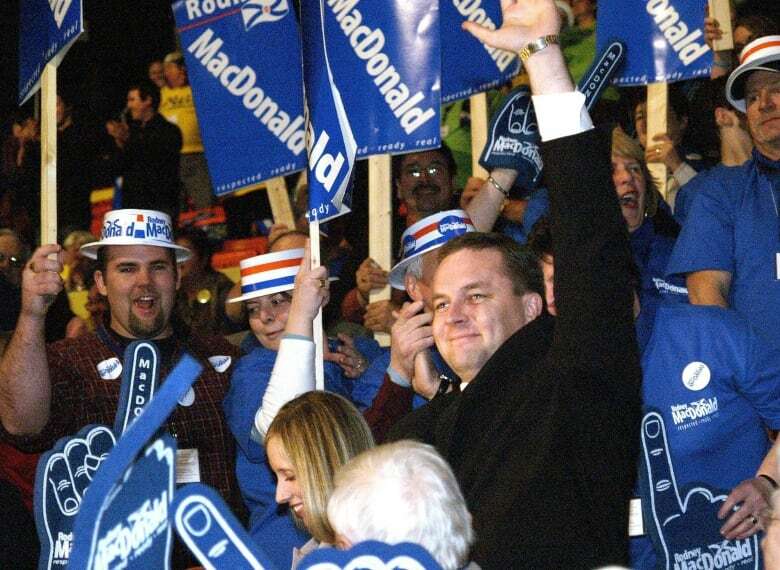 Former PC premier Rodney MacDonald faced a similar situation in his leadership bid in 2006. He beat out odds-on favourite Neil LeBlanc and party outsider Bill Black to take the party's top job. "At the end of the day you can't avoid there being contentious issues," said MacDonald. "Things that you disagree with. And it is politics after all, and it's not for the faint of heart." Because delegates chose the new leader in 2006, each team waged a riding-by-riding battle, which resulted in deep divisions. The one-member-one-vote process in 2018 may be less divisive, but MacDonald said the length of the current contest may be a problem. "I do think because of the length of this race it's caused perhaps more, there's more ideas being thrown out there and as a result, from time to time there would be disagreements," he said. "More contentious for sure." Houston's campaign launch last November angered some party members who felt he was jumping the gun and that his "time to win" slogan was disrespectful to those who ran the party's most recent election campaigns. During the race he's been the favourite target of rivals. In recent weeks, Smith-McCrossin and Lohr have publicly declared they are each other's second choice for leader. This is the first contested leadership race the party has run in the age of social media. Although that has given the leadership teams a powerful tool to recruit new members, it has also given members new and old a platform to air grievances. And they have. Unlike past campaigns, the party has not been able to keep its family squabbles under wraps. Leadership teams have also struggled to control their what their supporters have had to say about their rivals. That will make the job of unifying the 11,000 Nova Scotians who are card-carrying PC members harder for the new leader. 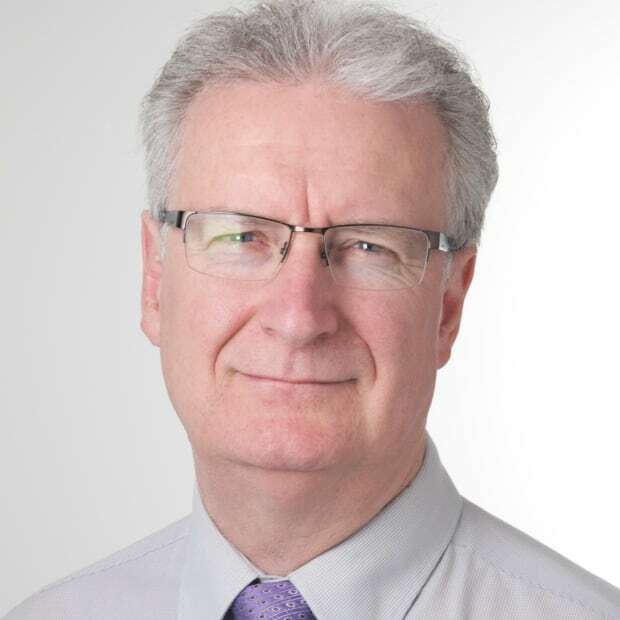 One-time NDP leadership hopeful Kevin Deveaux agrees with Rodney MacDonald. He came in second behind Helen MacDonald in the 2000 race. It was one of the most hotly contested leadership races for the party, with five contenders. "I think that you need to keep those communications lines open and that is critical if a caucus is going to be able to coalesce again," said Deveaux. Deveaux said the new leader should not wait to start mending fences. "Immediately, immediately. I mean that evening right after they announce the results getting engaged with, and it's not just leader to candidates who lost, but it is campaign managers to campaign managers," he said. "It's building those links. Recognizing that some of those people in the other camps obviously are loyal PC and you need to give them some roles, formally and informally, so that they feel that they're part of the party." Peter MacLellan said his brother Russell may have had a easier time than others because part of his strategy during the campaign was to stay away from pointing fingers and making accusations. It was all in keeping with his leadership slogan: "Leadership that listens." "If you talk to Russ now, he's still that same happy warrior he always was," said Peter MacLellan, noting his brother's background in law and as someone who saw himself as a mediator. "Whether that's good or bad in politics, that's a discussion for another day. If anything, I guess sometimes we thought perhaps he should have been more, a little bit more ruthless at times, but was just never his nature." MacLellan said a looming end of mandate helped focus the party's energy to things other than the leadership, but even that date with the electorate sometimes took a back seat to mollifying one-time rivals. "There were people who were willing to work with us and what have you, and to come on board to do this. But let's face it, the time you take to build those bridges and to get that trust and to work in that system … takes up time. Yet you're looking at a new election that's looming." Who are the 5 candidates vying to be Nova Scotia's next PC leader? Sound Off: What matters in a leadership race? Rodney MacDonald, who wanted a mandate of his own, called an election after just four months as leader and premier. That forced caucus members, especially those in cabinet, to close ranks. He said one of his "greatest assets" during his time as premier was Michael Baker, his finance minister and "very close friend." Baker had been campaign co-chair for the failed LeBlanc campaign. For Deveaux, how well a party can bounce back from a fractious leadership battle came down to first ballot support. He said the result in 2000 had the top three contenders sharing almost 90 per cent of the vote almost evenly. "When you're down below 33 you clearly have a fractured party and it's very difficult to sort of put those pieces together," he said. "So I think in our case, no matter who had won that race, I think it would have been very difficult to unify the party at that time."